SF and I was in for a lepak Saturday last week, we decided to pop over to Little Saigon for some Vietnamese chow.We have been looking for a decent Vietnamese restaurant in KV, but it seems to evade us all the time. 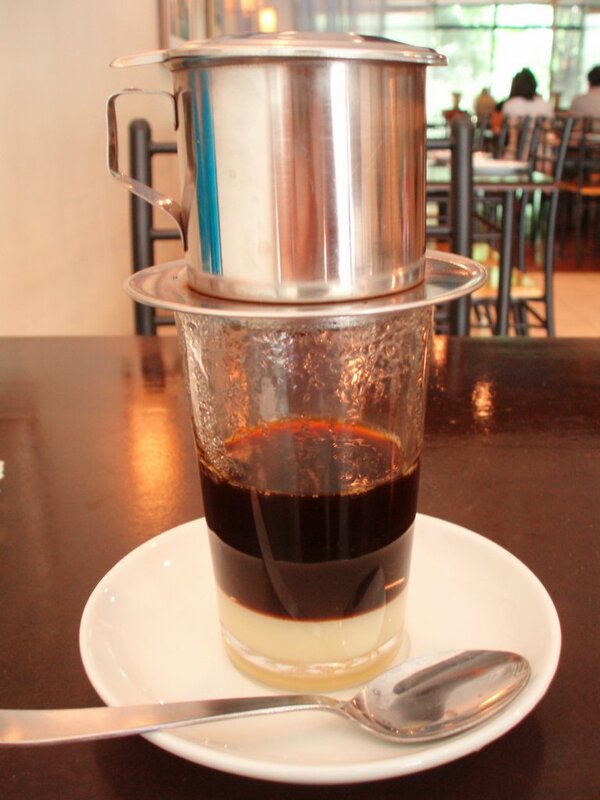 It was a scorching afternoon, but Little Saigon was surprisingly cooling although its doors were wide open. As we were the only customers at that time, our mains came promptly. 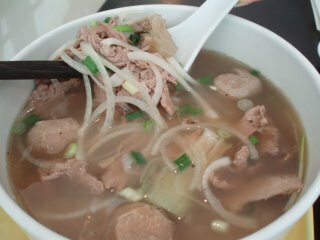 SF's Pho Bo aka beef soup with rice noodles, bean sprouts and green onions came first. I stole a sip (thanks SF!) from SF's bowlof clear soup and the soup was light, sweet and immersed with herbs flavours. Generously served with sliced beef and meatballs, we think (so far), this may be the best Pho Bo as most Pho Bo in KV tasted more Chinese rather than Viet. 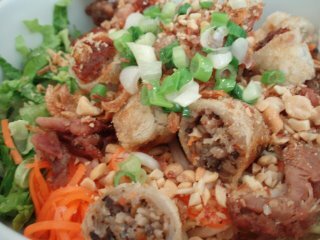 My Bun Thap Cam aka grilled pork, pork patty and spring roll on rice vermicelli with shredded carrots, cucumber and mint, topped with ground peanuts and served with special sauce, came soon after. I am pleasantly suprised by their version, its actually good! The grilled pork and patty was really grilled dried instead of stir fried (but served with the pretext of "grilled" in many viet rest here). Hence, every bite was just filled with the sweetness of the pork, slightly smoky and very well marinated. Its texture was slightly tough from its grilling, but who cares! 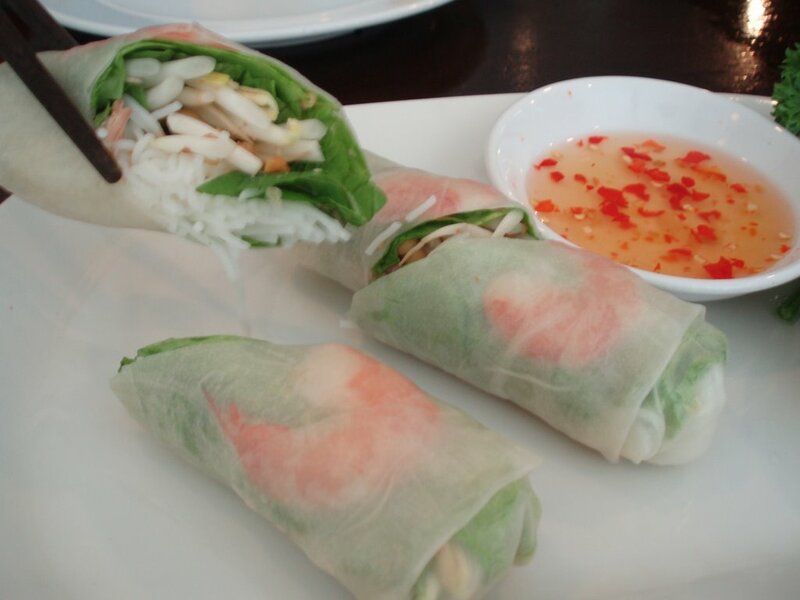 The springroll was fluffy on the outside, but soft and tasty on the inside :). Authentic, sincere and sweetly simple. Little Saigon is located at 14, Jalan 30/70A, Desa Sri Hartamas, 50480 KL. Tel: 03-23001195. The row of shops next to Souled Out restaurant. We all understand the stories about USMilitary in Vietnam who killed entire villages including women and children, toddlers and infants.